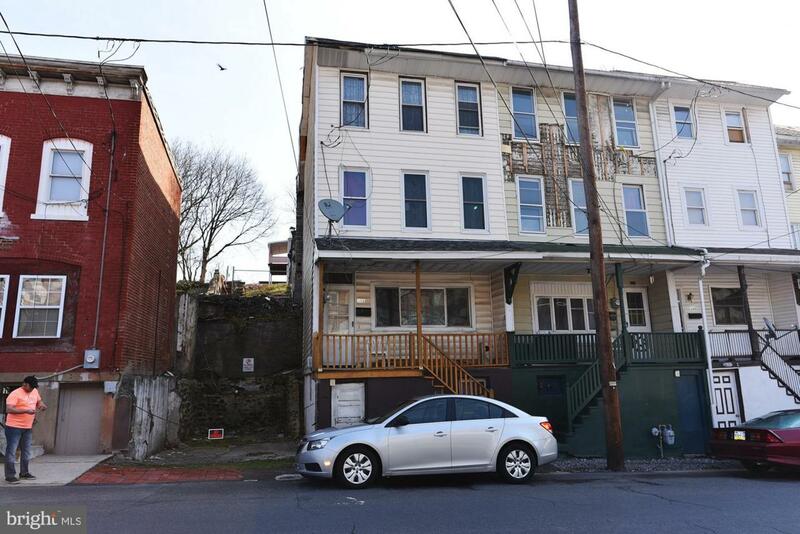 Here is your opportunity to own a great 3 story rowhome with tons of potential in Pottsville. New roof in 2016 offers peace of mind and gas heat for efficiency. Currently 4 bedrooms and one bath with a 5th bedroom waiting for heat. The 3rd floor offers a bonus room for a potential 2nd bath or walk in closet. The home is in need of cosmetic finishes but has great bones and will be a great addition to a rental portfolio or perhaps the room you may need for your growing family. Take a look today.